The Aga Khan Trophy is the prize presented for Ireland’s showjumping Nations Cup competition, held annually at the Dublin Horse Show. The first trophy was donated in 1926 by Aga Khan III, who was a frequent visitor to the show. Selection for the Irish team competing in the Aga Khan Trophy is considered to be one of the highest achievements possible for an Irish rider, and Cian during his career has been selected no less than 14 times. Furthermore, three of his appearances on the team have resulted in Ireland winning the trophy – in 2004, 2012 and 2015. 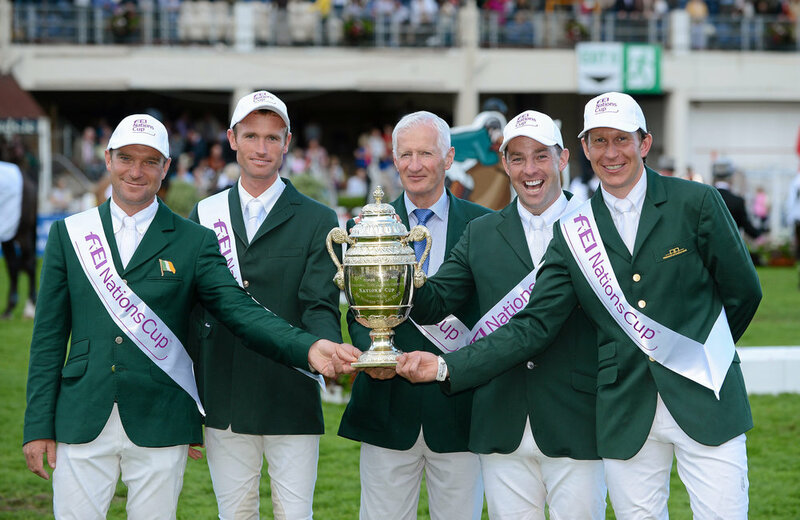 The competition is part of the FEI Nations Cup series.